Dorset Wildlife Trust (DWT) has welcomed a long-awaited byelaw, a remake from 2015, that will extend areas closed to mobile fishing (such as trawling and dredging), to cover features within Dorset's two inshore Marine Conservation Zones (MCZs), Poole Rocks, and Chesil Beach and Stennis Ledges. The Southern Inshore Fisheries and Conservation Authority (Southern IFCA) who manage the Dorset, Hampshire and Isle of Wight coastline (out to six nautical miles), has announced the Bottom Towed Fishing Gear Byelaw. This byelaw, a remake from 2015 that included three European Marine Sites, will also protect Poole Rocks MCZ and rocky ground within Chesil Beach and Stennis Ledges MCZ, both of which were designated in 2013. Poole Rocks MCZ is a shallow site containing rocky outcrops attracting over 360 species, many of which are typically found at greater depths. It is designated for the rare Couch’s goby and the threatened native oyster. Chesil Beach and Stennis Ledges MCZ is designated for its pink sea fans – slow-growing corals and the threatened native oyster. This area is the most vulnerable of the two MCZs and has been subject to a voluntary ban on scallop dredging over rocky ground which offered no certainty that it would hold into the future. This new byelaw will now help ensure the safety of this vulnerable site. Research has shown that when rocky reefs and their associated marine life are damaged by heavy fishing gear it can take many years to recover. Emma Rance, DWT Marine Conservation officer said, “We are very pleased to hear that this byelaw has been confirmed. 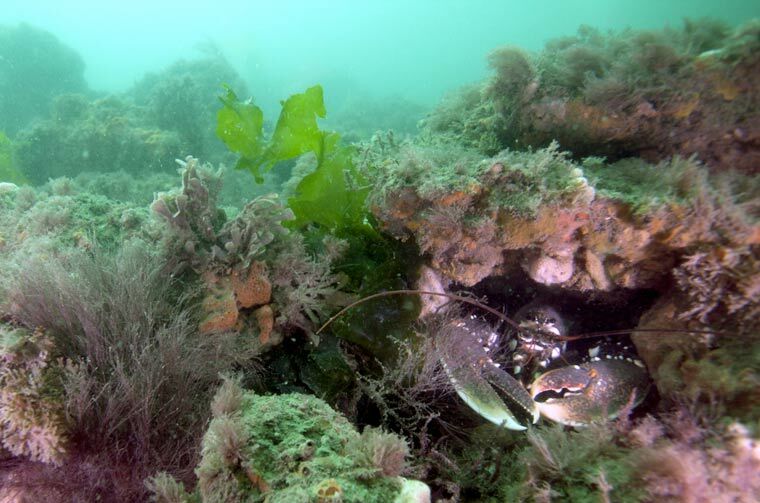 It will protect Dorset’s most prized and sensitive marine habitats from the most damaging fishing methods representing 31% of Dorset’s inshore waters – a great step forward for conservation.